The concept of yin and yang teaches us the paradox of how contrary forces complement each other. Like any other ambiguity, this particular idea of duality is fascinating, balancing life’s slack wire. Self-taught artist and designer Adante Leyesa thinks so, too. While wandering the streets of Tokyo, he beheld its two contrasting elements—“conservatively zen” and “divergently modern.” He combined and harmonized them and out of the amalgam he made the Cocoon bag, an “origami-ish” handbag that is also very Filipino. Handcrafted by artisans, each bag is made of upcycled rags or woven silk fabric folded like an original model and handsewn with mother of pearl shell discs, wooden beads, and semi-precious stones and crystals. The finished product is a truly wearable art piece that fuses function and style. To date, the Cocoon bag comes in several styles: geo beaded series, Frida Kahlo-floral series, indigenous mosaic, and Boho chic. 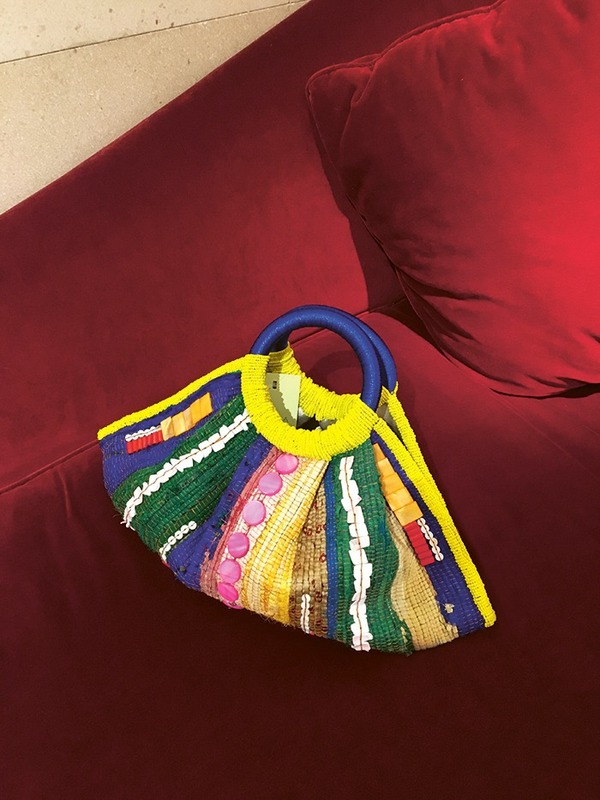 “The spirit of each piece lies on the painstaking methods of weaving, beading, and embroidery done solely by the hands of our dedicated craftsmen,” Leyesa says. “By reinventing these old techniques, I somehow made a small step in culture conservation. “That, for me, is social design,” he says.